Devil's Claw has been proven to have anti-inflammatory properties; it can be effective at relieving joint pain, osteoarthritis & even pain from laminitis. Glucosamine can have positive effects on cartilage & also improve the quality of the cushioning joint fluid. MSM & Vitamin act as antioxidants. 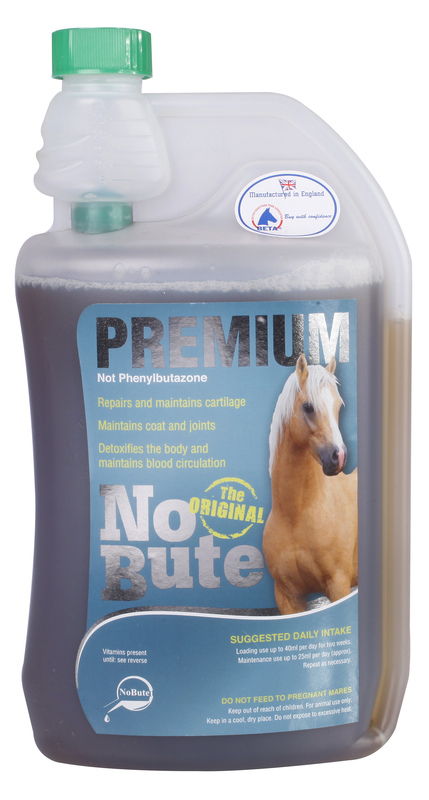 No Bute Premiuim does not contain Phenylbutazone. Feeding Instructions- Feed a loading rate of up to 40mls daily for 2 weeks. After the initial 2 weeks, feed a maintenance rate of 25mls daily. Devil's Claw is now a Controlled Medication under FEI rules, so it's not suitable for regular use in competing horses. Do not give to pregnant mares.